RUSH: This is Fred in Cleveland. It’s great to have you, sir. How are you doing? CALLER: I’m good, Rush. Good day to you. My point today is I think that everything we’re witnessing revolves around the inspector general’s report. I think it’s going to be a political earthquake, and the higher-ups all know it. Schumer, Pelosi, Schiff, everybody knows it. The secret is out. They know it is coming. 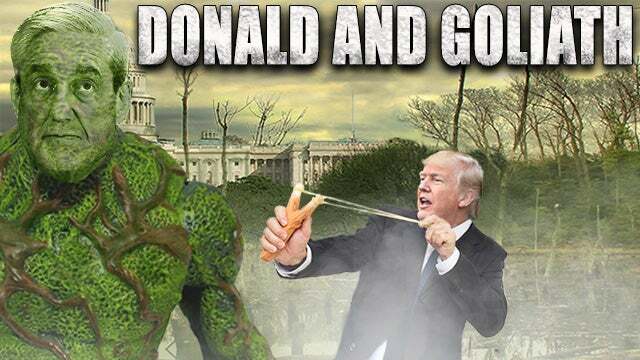 And I think the reason Trump will not declassify everything and drop the bombshell and let the floodgates open is he’s controlling the floodgates. CALLER: — that is gonna hit shore in November. RUSH: Well, I tell you, this is a question that comes up. It’s on the minds of a lot of people. We’re sitting here, you know, I spent a lot of hours on Saturday putting together my explanation for who is the spy, what’s the spy, why was he a spy, what was he doing, the George Papadopoulos story. And the fact remains that Donald Trump with one phone call could make all of it public. He could order all of this that’s redacted to be unredacted and declassified and therefore reported. So the question is, why doesn’t he? And theories abound. Your theory is he’s waiting on the IG, that the IG, the actual inspector general of the DOJ and the FBI tell the tale so that Trump is not accused of doing so. In fact, this came up on Fox. Grab sound bites 1 and 2. 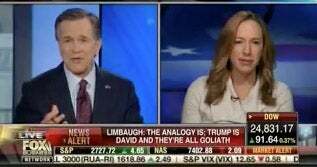 David Asman had Kim Strassel on Friday afternoon, and he presented my theory to her for her to react to. ASMAN: Rush Limbaugh weighed in on this today. He suggested that it may be more than just concern that the president has about being accused of obstruction of justice, that there’s something else afoot. 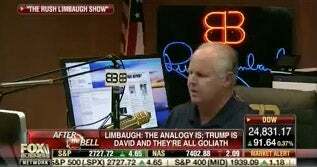 Let’s play the Rush Limbaugh take. RUSH ARCHIVE: Mueller doesn’t have any power whatsoever to get rid of Donald Trump constitutionally, and they’re not gonna try it that way. This is all about humiliation, embarrassment, raising his negative numbers, hopefully to make him resign. That’s not gonna happen, and Trump knows it’s not gonna happen. But the analogy is that he’s David; they’re all Goliath. We know how that story ends. RUSH: Meaning that it’s not correct to say Trump likes playing the victim, but by having this still remain mysterious, unredacted, Trump gets to hit all of this as a witch hunt. He gets to continue categorizing these people the way he wants to and prolong — ’cause he knows what the outcome’s gonna be, so he’s just simply prolonging it. Here’s Kim Strassel’s reaction to that theory. STRASSEL: Well, he is doing that. But the question I think we all have is would it still not be better to declassify this as soon as we could and to the extent that we could. The country has lived under this cloud for a very long time. We’ve lost a lot of important faith in institutions like the FBI and the Department of Justice, many people there, by the way, who do very good work. And the only way we’re gonna ever put this behind us is for everything to get out and for the people to be able to judge it for themselves and then for some judgments to be made and some promises of renewal going forward. RUSH: And a lot of people are fully behind that. Just declassify this stuff and end this. It’s gone on too long, and there’s no end in sight. I understand the point of view. I really do.